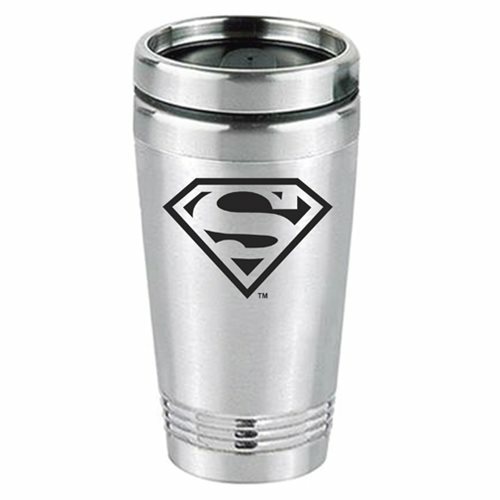 Classy and useful, this Superman Logo Stainless Steel Tumbler is a terrific way to take your coffee or other beverage on the go. It measures about 7-inches tall and includes a sealable top. Hand wash only. Not dishwasher safe. Do not microwave.